Ever since Battlefield Bad Company 2: Vietnam was released in 2010, I've been itching to not only play a historical FPS game (as there's been a couple of WWI shooters in recent years such as Verdun and Battlefield 1) but one in the Vietnam War setting. So when Rising Storm 2: Vietnam was announced, I was pretty excited. There wasn't much in the way of news for a while and then BAM! The game was released just a couple of months ago. Despite not minding what I experienced during the open beta and the affordable pre-order price of $25 USD, I held off from buying the game, mainly because I'm a bit apprehensive about adding multiplayer games to my backlog nowadays, I mean, what is the point of buying a game that none of your friends play? Worse, what's the point of buying a game you might not have time to play until much later when the number of players online has dwindled to nothing? What tipped me over the edge in this case was the fact my mate Choona managed to pre-order a copy so I thought that was as good a reason as any and now I'm no longer a Tripwire Interactive virgin. You heard right, I've never played a game by Tripwire Interactive before: I've never played a Red Orchestra game, Killing Floor or the original Rising Storm. So my review would suit those who, like me, are coming into this franchise as a newbie. I have played countless Battlefield games of course, so the Battlefield series is where I'm going to make most of my comparisons. So what's Rising Storm 2: Vietnam about? 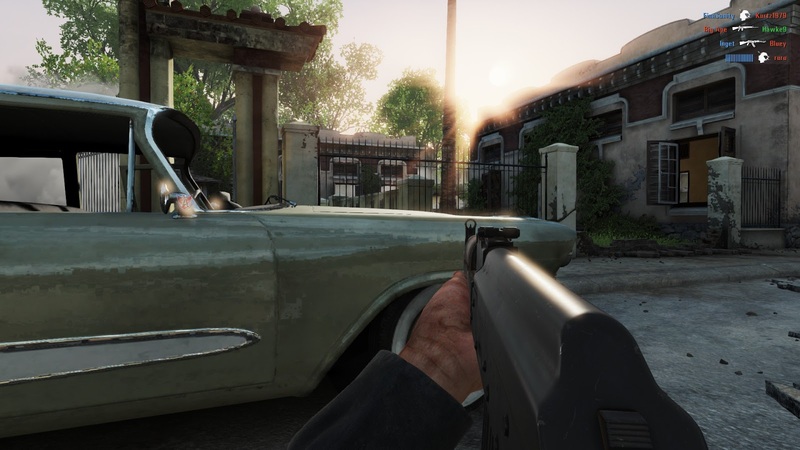 Well, it's an online multiplayer FPS set during the Vietnam War that features 64-player maps, lots of authentic weapons and aircraft from the era, along with… wait for it…. COMMANDER MODE (yaaaaay…. Okay most of you are probably going "boooo" but hey there are some of us who likes "Commander Mode" in online multiplayer FPSs 😊). Battlefield 2 is one of my favourite games of all time. In fact, it features on the Choicest Games Top 100 in the #8 spot. So there, it's gotta be good if it's on that list 😉. So when I say a game is like Battlefield 2, that's a good thing. A lot of the elements found in Battlefield 2 are present in Rising Storm 2: Vietnam: For starters, there's Commander Mode and not just any old Commander Mode, but with abilities that can really decide the outcome of a battle such as napalm strikes, instant respawns of dead comrades and anti-air cover. The artillery strikes are nothing to sneeze at either as they cover a wide area and can do some serious damage (to friend or foe – something to keep in mind). Just like Battlefield 2, the game definitely follows the "less is more" mantra and it encourages teamwork since each player needs to rely on each other in order to win: there's no class that can do absolutely everything in this game (each class/role has a specific function to play) and the Commander actually has to rely on the squad leaders on the team to spot artillery targets or rely on players who volunteer to play the Radioman class in order to allow the Commander to access abilities near the front line. The game also has squads (complete with customisable names) and you can use the in-game voice comms to collaborate. Not only does the game use authentic weapons, they lock the weapons to the side that uses them which I respect – there's none of this U.S. Marine Corps using Singaporean Ultimax 100s as default machine guns. While there are similarities between classes and how each side plays, there are also subtle differences. For example, with the U.S. side, squad mates can only spawn on the squad leader (and only if he or she is alive of course). With the North Vietnamese forces, you spawn on squad tunnels which are placed by the squad leader – they're similar to spawn beacons in Battlefield 4 except you can't parachute down on them. With respect to vehicles, the Americans are able to use aircraft to transport their troops and to provide fire support while the North Vietnamese, well, get nothing! However, their Commander does have the ability to provide anti-air cover for a short while which is used to destroy any aircraft over a certain altitude. Also, just about all North Vietnamese roles can deploy anti-personnel traps so while the Americans might dominate the skies, the North Vietnamese are going to make it extra difficult to capture those objectives. Maybe I just need more practice but compared to the Battlefield games, flying the choppers in Rising Storm 2: Vietnam is really difficult. 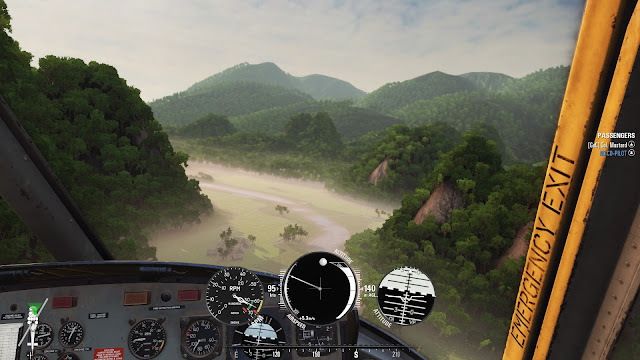 I've marked this as a good thing since, just like real life, not everyone is skilled enough to be a decent chopper pilot – so I suspect this creates the opportunity for certain players to fill that niche. On that note, to make things extra difficult, unlike Battlefield where you can just bail out of a chopper any time you want and parachute to safety, you actually have to wait until the chopper has landed in Rising Storm 2: Vietnam before you can exit the aircraft. This makes for some hair-raising moments as everyone tries to quickly jump out of the helicopter towards cover, hoping there's no North Vietnamese troops nearby picking off the soldiers or firing an RPG into the chopper. The game has a server browser and dedicated servers. No matchmaking. Yay! There are 88 Steam achievements to unlock and 8 Steam Trading Cards to collect. "Better run through the jungle..."
I can't put my finger on it but the game sometimes feels unpolished; sometimes I feel that the animations are a bit wonky or it feels like the game isn't responding fast enough to my actions. The game doesn't feel like a AAA title in terms of its presentation and while I can appreciate that's going to be the case when you don't have as big a budget, it still has to be mentioned. The user interface isn't intuitive for someone coming in from the Battlefield series (at least I don't think so). At times, I couldn't figure out how to change class until I discovered it had nothing to do with the tactical map (which is where you'd normally end up after dying in a Battlefield game) but it was instead an option on the main menu that you Esc out to. Also, when it comes time to vote for a new map, you're able to vote "Yes" or "No" to a bunch of choices that come along instead of just typing or pressing a number to select the map you want to choose – although after the map ends you get an opportunity to vote for a map again anyway, except using a different interface. Huh? Rising Storm 2: Vietnam uses a "guilty until proven innocent" paradigm when it comes to its TK system, unlike Battlefield which is the opposite (i.e. an "innocent until proven guilty" system). In Rising Storm 2: Vietnam if you teamkill someone, even if it's an accident, you automatically lose points and receive a time penalty for the next time you spawn. If the player you teamkilled manages to type "np" in the chat then that results in you being forgiven and no penalty is applied. While in theory this way of handling TKs sounds like it would work, and be effective in preventing intentional teamkillers, it becomes an issue when the Commander for example accidentally kills an entire squad of players despite already warning them of the incoming artillery barrage. This results in a huge delay when he or she has to respawn and the team has to fend for themselves without a commander during that time. Bottom line: I'd prefer a Battlefield style TK system instead of the one currently in use. Look, I understand in real life sometimes people of different ethnicities speak English with strong accents – I wasn't born yesterday. However, it has to be said that the voice acting for the North Vietnamese side is pretty terrible – and inexcusable to a degree. Often during the game you'll hear soldiers automatically muttering comments in Vietnamese so why not have everything in the game spoken in Vietnamese to make it extra authentic? Sure, this might disadvantage English speakers since now they lack the aural cue but you can always have subtitles or just a generic message to translate what's actually going on. Yes, I'm aware there is a link to the manual on the Steam store page, but guess what? It's not a link to a manual but instead a link to a series of YouTube videos that show you how to play the game. While these are useful (and should be viewed) they still don't explain all the nuances in the game and for those of us who just want a reminder about something or who just prefer to read rather than watch, YouTube videos are not the answer. I don't know what exactly is a healthy server population when it comes to FPSs, but at 9:45pm AWST on a weekday, I found about 18 Australian servers but only two of them were almost full (i.e. 64 players) and there was a third server with about 8 players. So, there's probably about 100-200 Australian Rising Storm 2: Vietnam players on during weeknights (there were 1,742 players worldwide according to Steam). Considering you need around 4,000-5,000 players online in order for your game to be in Steam's Top 100 most-played games and comparing the 1,742 players to Rainbow Six Siege's 39,471 players at the same time (and that only includes Steam players, not UPlay players) it seems like the server population is relatively small. It's better than Verdun though which is sitting at around 600. Rising Storm 2: Vietnam still requires some extra polish and the game has a potentially steep learning curve but if you're missing games like Battlefield 2 and want to play a team-oriented, role-based, asymmetric multiplayer FPS set during the Vietnam War, Rising Storm 2: Vietnam ticks all the right boxes. I just hope enough people continue to play and support the game as it would be a shame if a game with so much potential was abandoned. Is the game worth $24.99 USD? : Yes, that's about $32 AUD with current exchange rates. In terms of gameplay the game should provide you several hours of fun and unlike recent Battlefield games, this one focuses solely on the multiplayer experience. Love the review! Pretty spot on... hopefully it doesn't die away and more new players give it a shot. Cheers Choona and couldn't agree more.